Polyphagous Shot Hole Borer, an invasive beetle originally from Southeast Asia, was recently discovered on the campus of the University of California Irvine (UCI). The University took an immediate response, hiring ArborPro to do a complete inventory and assessment of all the trees on campus. Over the last month ArborPro’s arborists and University staff have found that about 1,000 trees have been infected so far, most of which will need to be removed and disposed of so not to spread the fungus. 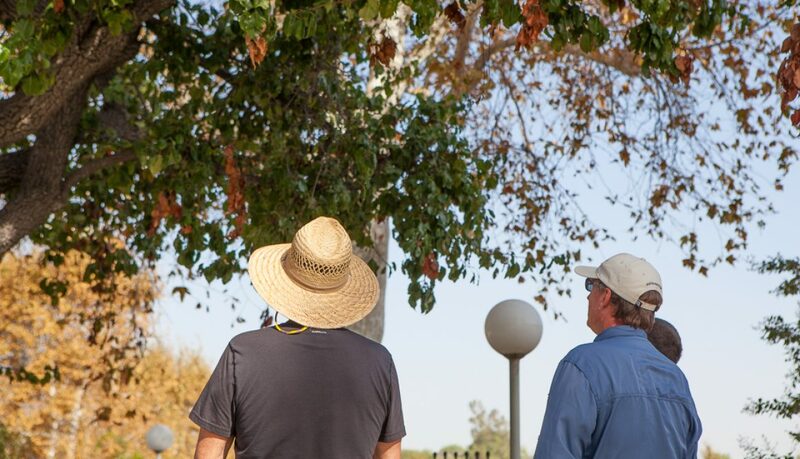 UCI and researchers from the University of California Agriculture and Natural Resources will be using experimental treatments on some trees and will be using ArborPro’s Tree Management Software to monitor the results to see if the treatments are effective. To learn more about this invasive pest and the signs and symptoms go here.